WHAT IS THE BEST OIL FOR MY EAGLE LIFT? Just like different sorts of gasoline, transmission fluids and hydraulic oils have different additives, density and purposes for use. Fluids are made for very specific uses and products are made to be used with a specific fluid. When something else is used, the performance is poor and the product is damaged. In years past, there were lift manufacturers in North America who said that ATF (Automatic Transmission Fluid) could be used in their automotive lifts; some manufacturers still do. Some professional installers, familiar with such manufacturers, tend to assume all lifts take ATF; but they don’t, and never have. Please do not use ATF in your Eagle Automotive Lift. You wouldn’t use the wrong oil in your engine. You wouldn’t put leaded gas in your unleaded car. 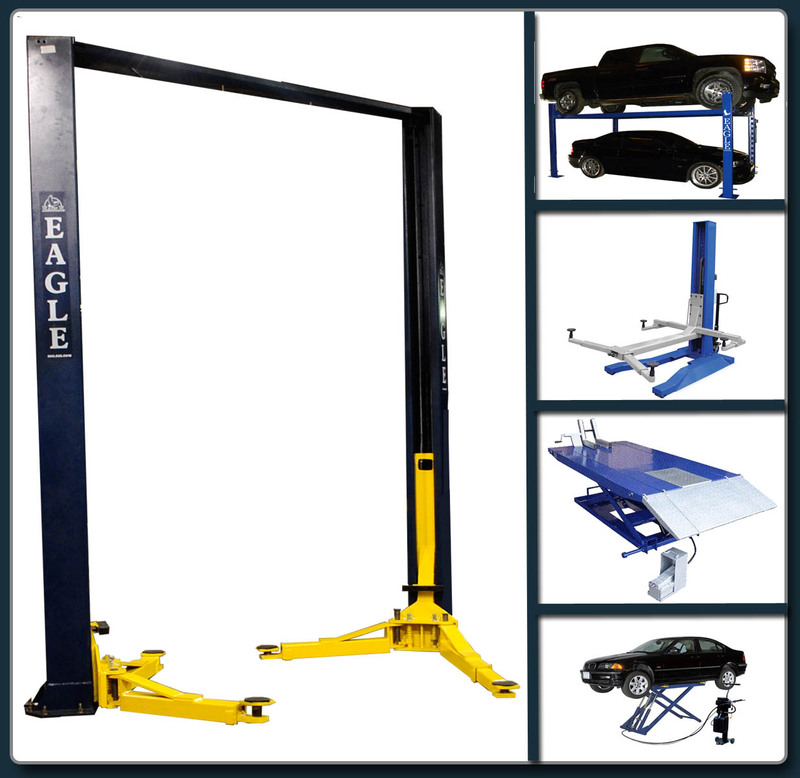 Read on to see why you must use AW-32 Hydraulic Oil in your Eagle Equipment Auto Lift. The AW stands for Anti-Wear. It also protects against Rust & Oxidation, and contains Anti-Foam additives. An oil’s rating refers to its viscosity, which determines its ability to flow at different temperatures. Lower numbers indicate thinner, more easily flowing oils. AW32 is approximately 10-weight oil with the additives and is ideal for all climates. Whether you plan to use your lift on a cold morning or down in Miami, AW32 is universal. Important to Note: When looking to buy your AW32 Hydraulic Oil just make sure it says “Hydraulic Oil” not “Hydraulic Tractor Oil” or “Hydraulic Fluid” as they are not the same thing! Hydraulic fluid is used in small systems such as car brakes. Hydraulic oil is used in large systems such as lifts. All of the Eagle power unit tanks are 3 1/2 gallons. I understand use AW32. Is it readily available? Also, my reservoir has leaked for years. It seems as though the handle used to lower the hoist always has oil dripping from it. How do I correct that and where do I add fluid? Previous Previous post: Do instructions ever seem like another language? Sometimes they are!